Pool filters are one of the most popular ways to filter water. Pool filters are simple, effective, and require very little attention. Pool water is routed through a sand-filled pressure vessel. Over time, dirt accumulates in the spaces between the sand particles causing the pressure in the vessel to rise as water finds it harder to pass through. Backwash the pool filter to reverse the water flow and knock out the dirt. Pool filters remove impurities such as dirt, leaves, grass, hair, body oils, sunscreen, and even many bacteria from the water in your swimming pool, these high efficiency pool filters keep your pool water clean, clear and inviting. 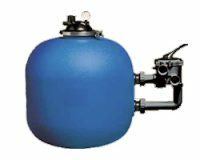 The Triton sand filter has set the industry standard for effectiveness, efficiency, long runs between service and providing years of dependable, low maintenance operation. Triton features a special internal design that keeps the sand bed level, ensuring even water flow and resulting in the most efficient filtration possible. Thanks to patented ClearPro Technology, Triton II now produces dazzling water clarity. However, Triton II remains blissfully simple, requiring less maintenance than either cartridge or D.E. filters. Just an occasional backwashing with a simple turn of a valve for the clearest water, year after year. 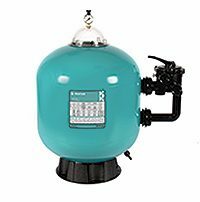 Traditional sand filters can only remove particles in the 50–100 micron range, but the Tagelus filter with ClearPro Technology removes particles up to five times smaller…well below what your eye can detect. And that’s the difference between a clean pool and one that truly sparkles with clarity. 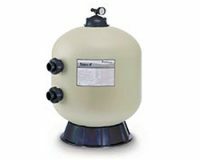 Cristal-Flo™ sand filters will keep your pool water crystal clear and sparkling clean for years. 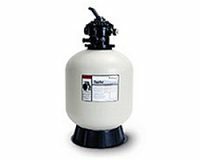 The Cristal-Flo™ filter is the perfect high performance sand filter. It’s incredibly simple to operate and maintain, and it’s built with long-term reliability in mind. Visit us on Facebook and Google+ today.